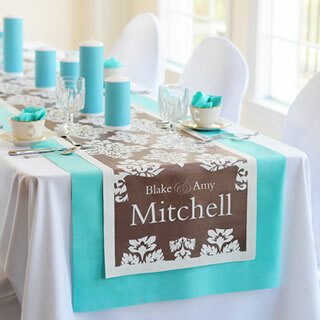 Whether you are planning a formal dinner reception or an informal gathering of well-wishers, it is important to establish a schedule of events to prevent confusion on the big day! Don't get too hung up on exact times — the idea is to keep the party moving in the right direction. While the order of events is entirely up to you, here's a sample of a traditional reception schedule. This is the time between the wedding ceremony and the reception in which guests are served champagne and hors d’oeuvres while the wedding party is having formal photographs made. 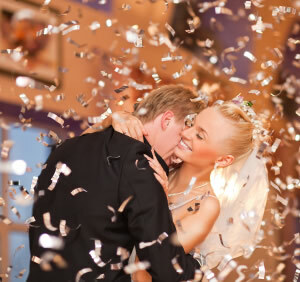 Because traditionally guests are not supposed to dance before the bride and groom, the bride and groom may proceed directly to the dance floor for the traditional first dance to encourage guests to start dancing early. This marks the end of the cocktail hour and signifies that dinner is about to be served. Cake Cutting. This signifies to the guests that the party is winding down and that it is okay to leave. Take care not to do this too soon or your party may end before you're ready! Last Dance by Bride and Groom. Have guests send you off in a big way! 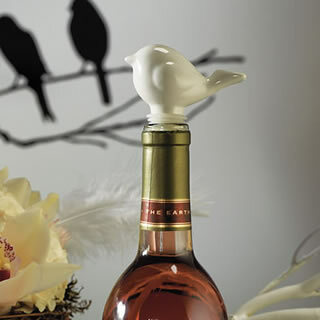 Exit through tossed rose petals, bird seed, or bubbles! A great wedding DJ will serve as your event MC and will guide you through events and keep the wedding reception flowing. 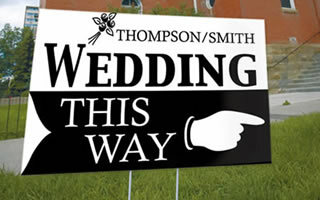 ♥ Checkout our Wedding DJ Directory here! Once you have decided where to have your wedding reception, you can start thinking about the design of your reception tables and decor. Using place cards and place card holders not only direct guests to their seats, but they are the perfect way to dress up your reception tables or to set a theme. 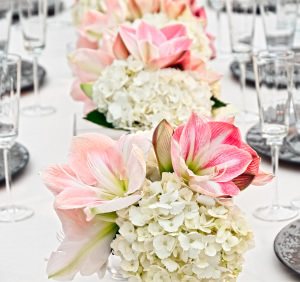 We've put together the perfect little wedding reception decor checklist just for you! From Frank Sinatra to the B-52’s and everything in between, the music you choose for your wedding reception helps define your sense of style and express your feelings for one another. The music also can help create wonderful romantic memories for you and your guests — making your big day even more spectacular! Whether you are using a DJ or a live band, we've got an indispensible checklist to help you plan your wedding soundtrack. 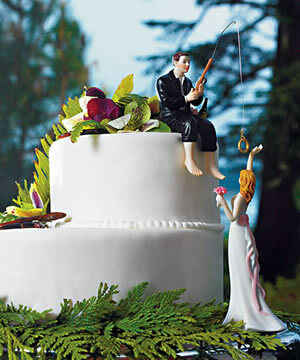 Gone are the days of the stodgy traditional wedding cake top figurines. 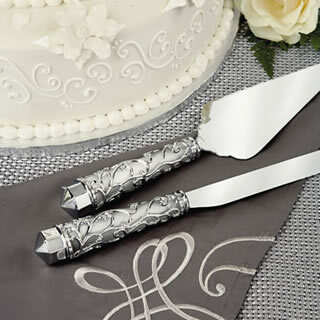 Todays wedding cake toppers are fun, romantic, striking, and reflect your personality and wedding theme. 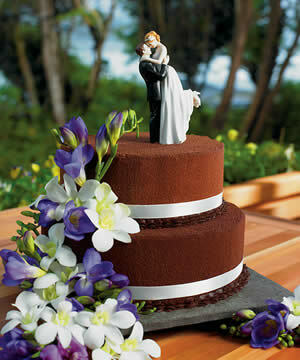 Have fun with your wedding cake topper and make a statment about your relationship and your love. Your guests will enjoy it and you will cherish the memory in photographs for years to come! Today's wedding cakes are creative and whimsical ... deserving of a truly unique cake topper!